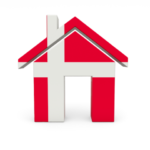 Denmark is one of the most economically and socially developed countries in the world. One can find a peaceful environment in Denmark with a unique food culture. Denmark is the world’s happiest country that has very low crime rates. It also has very fewer safety issues with excellent healthcare services. Denmark offers better living standard to the migrants. Also, it has very advanced universities for students. Also, there are a lot of options for Job. Thus Denmark is a great place to live, study and work. It has many top rated universities with a lot of career opportunities for students. What is the student visa? A student visa is a kind of endorsement that is added to a passport of a student who is enrolled at qualified educational institutes by the government of the country in which a student is interested in immigrating to. Thus, the students who want to migrate to Denmark for further education can apply for this visa. This visa will allow those students to study in the top-rated universities of the world in Denmark. Denmark offers a variety of courses to students to choose best according to their interest. Denmark has a very attractive campus life style. Also, there are many opportunities to go in the field of research. Along with education, there are many job opportunities for candidates to work after the completion of their study. This means, being a student visa card holder, you have employment opportunities in Denmark right after you complete your education in Denmark. So studying in Denmark is very beneficial for a Candidate for his or her education as well as employment. You can get a chance to work with multinational and international cooperation’s. The University of Copenhagen offers government scholarships for those traveling from China, Egypt, Israel, Japan, and Russia. It also offers other scholarships based on studies and origins. Many universities will offer scholarships, grants, and/or financial aid to help fund students education, though not all scholarships are available to international students. However, there are other ways to get scholarships. All the applicants who are admitted to a higher educational program in Denmark can apply for this visa. They can be granted a permit to stay and study in Denmark. A student with this visa can complete a full educational program or can do a part of their education as a guest or exchange student. 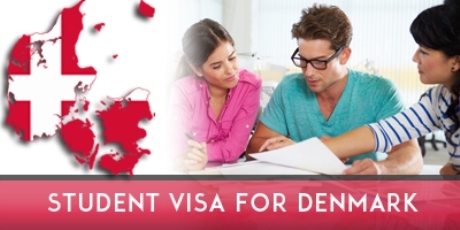 This visa can also be granted to complete a preparatory course for a higher education program. This visa holder can stay and complete their education in Denmark. The applicant must be financially strong enough to meet the requirements of education fee and living in Denmark. The applicant’s educational institute and educational program in which they are enrolled must be approved by a state authority or by the Danish Evaluation Institute, EVA. The course must not have a duration of more than 1 year. You must have been admitted to the higher education program that the preparatory course is linked to. The applicants of this visa holder are allowed to stay in Denmark for 90 days within a 180 days period. Full-time through June, July and August. The limited work permit is also valid during the 6-month job seeking period normally granted to the applicants if they expect to complete a full educational program in Denmark. All the applicants who are admitted to a Basic and youth study program in Denmark can apply for this visa. They can be granted a permit to stay and study in Denmark. This visa holder can stay and complete their program in Denmark. If the applicant is under 18 years, then both of the parents must sign a declaration of consent to allow the applicants to study in Denmark. They wish to start their high school program in Denmark, and they must be able to show the documents of continuing the program. All the applicants who are enrolled in a course at Folk high schools in Denmark can apply for this visa. They can be granted a permit to stay and study in Denmark. This visa holder can stay and complete their course in Denmark. The applicant’s Folk high school and a course in which they are enrolled must be approved by a state authority or by the Danish Evaluation Institute, EVA. The applicants enrolled in a PhD program abroad and wish to do a part of their program in Denmark.